While surfing the net, I happened to read an article by a traveler who expresses his concern about the current sad state of our once-glorious monuments and how the paintings, inscriptions and icons have been badly damaged – not on account of natural calamities, but by the work of the human hand, which makes it all the more heartbreaking. As he mentioned, the reality is that we are quickly killing our heritage which is already dying a natural death. 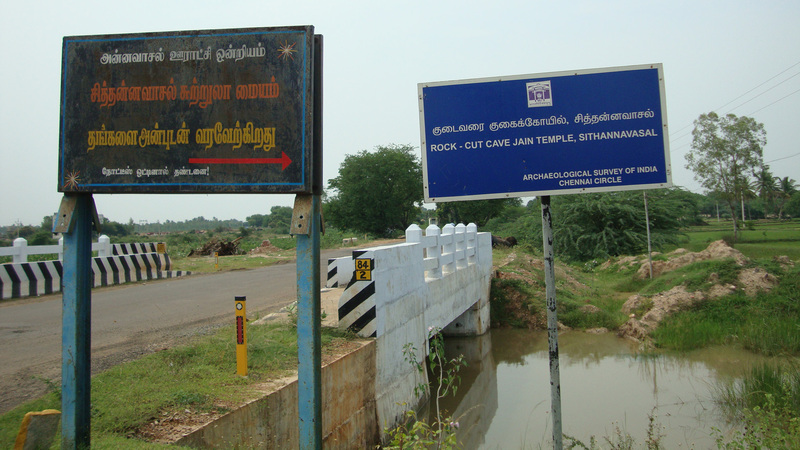 During my recent trip to Chitthanavasal – a small village in Pudhukottai district which is famous all over the world for its fresco paintings and megalithic monuments such as stone-circles, urn burials and cists spread in the plains of this village testify that this area was inhabited by pre-historic man. 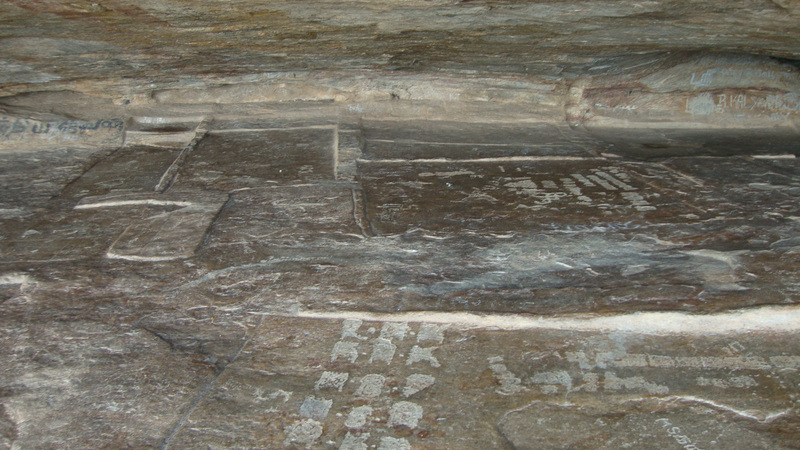 The monuments, particularly the Jaina cave temple is of great importance because of its paintings. 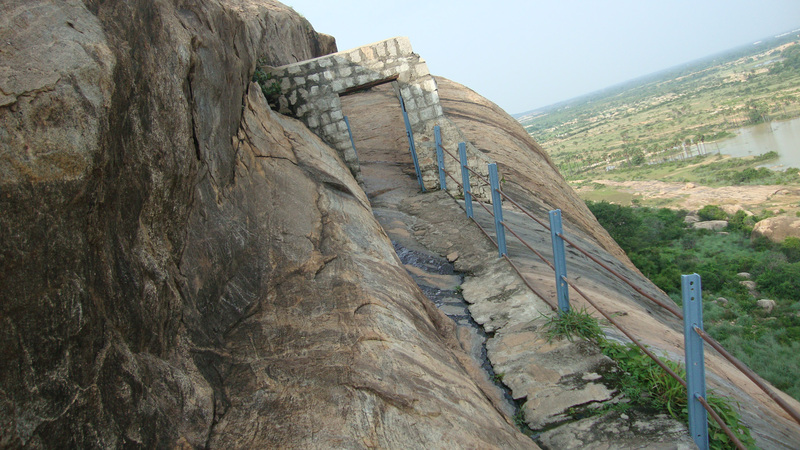 But those who visit the cave temple with high hopes will be greatly disappointed when they see the precious monuments. Why? 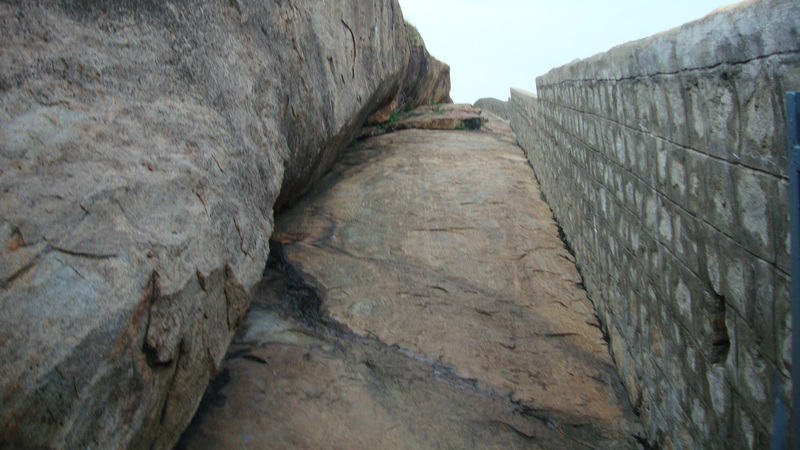 The Ezhadippattam is the name given to a natural cavern where over more than a thousand years since 1st centry BC, Jaina ascetics practiced severest penance such as meditation till salvation in standing posture and fasting unto death. There are innumerable inscriptions here. But all these inscriptions are barely visible now. Thanks to the prevalent vandalism within the last half century . . . 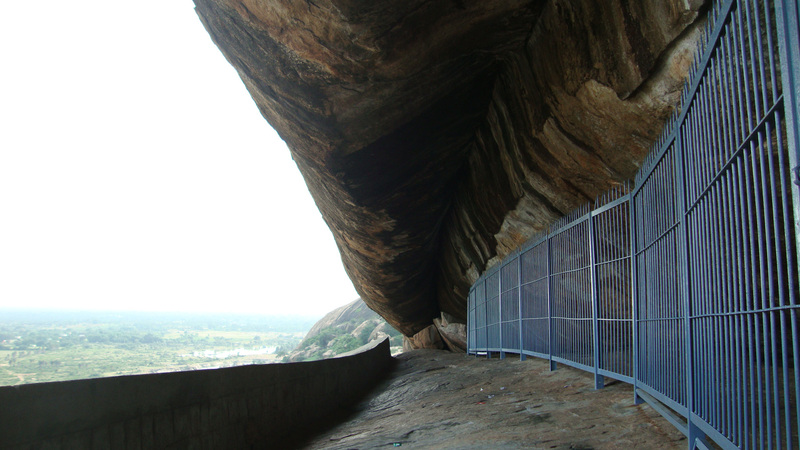 Presently ASI has installed an iron barricade at the mouth of the cavern to stop vandalism, which I think is a commendable beginning to preserve such historical artefacts. Though most of these ancient monuments come under the care of Archeological Survey of India (ASI), it had not prevented vandalism. At times one wonders what it means when a structure is claimed to be protected under ASI. Mostly, the signboards carrying this information are themselves in need of protection! 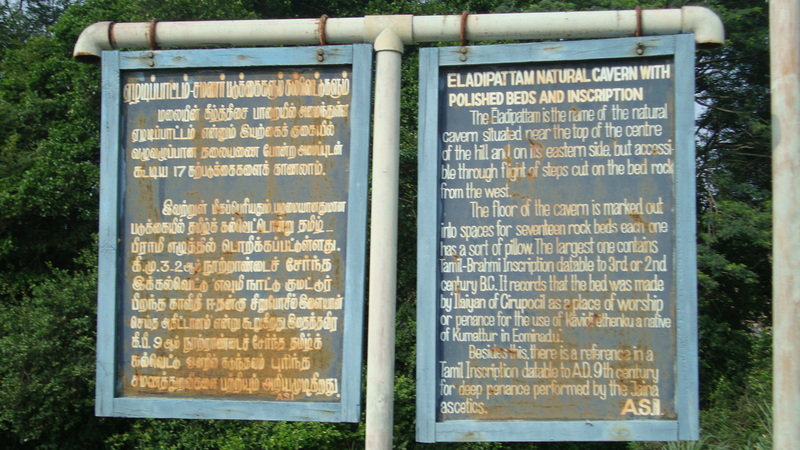 And usually, rather than trying to read these signboards, it is easier to understand the importance of the place by seeing the monuments itself! These are the priceless treasures of our land but we do not seem to treat them with any degree of care. It is our art, literature, music, dance and architectural heritage that make our country unique, even as we celebrate the advancements we have made in technology. It is vital that we protect our monuments from vandalism and respect them for their cultural and historical importance. Most of the vandalism is carried out by the local public and uninformed casual visitors. 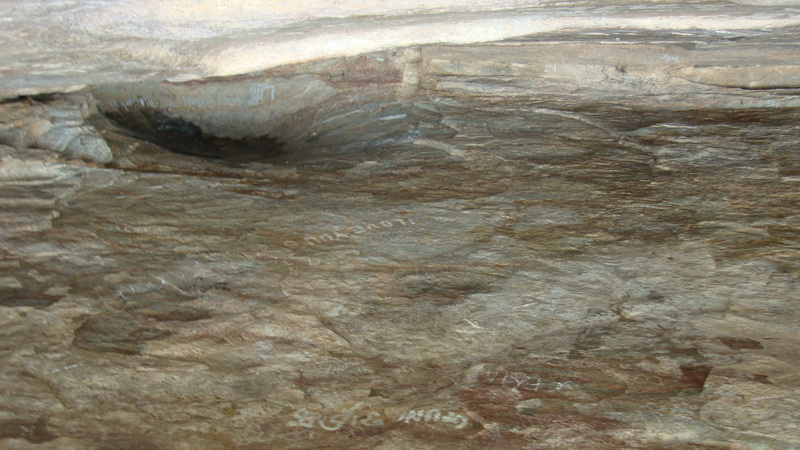 They inscribe/paint their names on the walls which contain these inscriptions, in many cases permanently defacing them. Such behavior can probably be traced back to their lack of awareness on the importance of these inscriptions and our monuments. Perhaps now, more than ever before, it is important for us to ensure that our children are taught about the significance of the history of art, heritage, literature and architecture through interactive programmes. Love and respect for art and culture should be a natural outcome of studying history in the school. Everything boils down to education at home and school. It is high time that governments should allow privatization of these places of cultural importance so that everything will be sacredly taken care of. I just hope that this happens before it is too late and we are left with only walls filled with ugly markings instead of inscriptions and art. Posted in TravelTagged Sithannavasal, VandalismcommentLeave a Comment on The extent of the human hand!